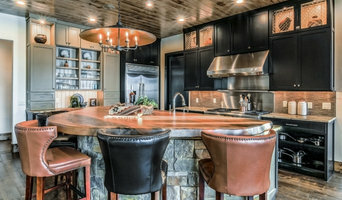 At Cabinet Concepts we specialize in building high end custom cabinetry to fit the needs and wants of our clients. Cabinet Concepts by Design has built its business on the tradition of using beautiful, high quality materials; expert craftsmanship and time tested cabinet building practices. These practices have served us well, as it has enabled us to expand over the past several years from just one designer/project manager and four craftsmen to four designers/project managers and 14 craftsmen on staff building and installing our in-house cabinetry. Every decision we make in growing our business is a reflection of feedback from our valued customers. We always want to deliver a product that exceeds our clients expectations. So as we grow, we continually improve our products and building techniques to give you the best built cabinet on the market today. 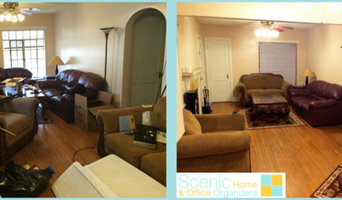 Scenic Home & Office Organizers consists of husband / wife duo Erik & Charlene Kean. We're a professional organizing team based in Springfield, MO. Our mission is to work with you to design customized, functional home & office organization systems. Together we will create a stress free environment so you can work efficiently and effectively. We want to help you set your own goals, and be able to reach them! We handle everything from closet organizing to entire home & office organizing, as well as custom-built storage solutions. Ozarks Organizing specializes in Residential and Business Organizing Services. We can organize any room in your home as well as paper management for your business. 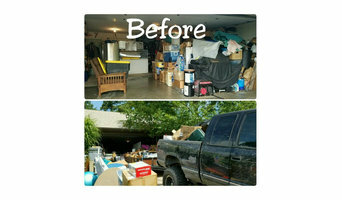 We specialize in Move-ins and Move-outs as well as families that are downsizing. We understand that this can be an emotional process and we will be there every step of the way. We are here to be your coach, mentor, and cheerleader! Let us help you simplify your life and free your mind and your space! Providing affordable storage unit solutions for homeowners needing a place to store some of that extra stuff while moving or remodeling. Before hiring a professional organizer, consider exactly what you need. Have you just moved into a Springfield, MO home and have no idea where to put everything? You may want to consider an organizer who specializes in room-by-room space planning or estate organization. Perhaps you’re faced with a tiny closet and an overflowing wardrobe. In that case find a professional who focuses on closets to help you get back on track. Also consider the types of objects that need organization. Are they items like books, family photos, files or collections? You’ll want a professional organizer who has experience designing custom systems with Springfield, MO companies that will best fit your needs. Find a professional closet and home organizer on Houzz. Narrow your search in the Professionals section on Houzz to Springfield, MO closets and home organization.